Santa Magdalena Apartments in Las Condes. Official Website. Santa Magdalena Apartments offers comfortable and complete aparthotels in the prestigious sector of Bosque Norte, Las Condes district, in Santiago de Chile. All apartments are fully equipped and have a warm and modern decoration, which invites to relaxation and rest. In addition, the great services and high quality services of Santa Magdalena Apartments make this the ideal accommodation for both short and long stays. 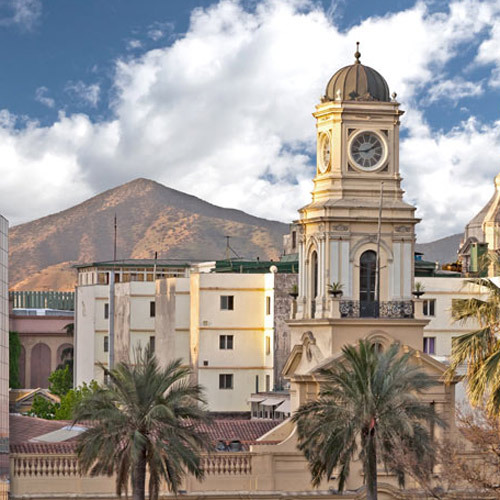 The space and the comfort of the apartments are combined with the attentive and professional treatment of the staff, to offer maximum comfort during your days in Santiago de Chile. Popularly known as Sanhattan, the area in which Santa Magdalena Apartments is located surprises with its resemblance to the famous area of Manhattan, in New York. The skyscrapers, such as Gran Santiago Tower, Titanium or the World Trade Center, are just a few meters from the apartments, forming a sophisticated and lively atmosphere, in which there is no lack of restaurants, parks, shopping centers and leisure options. This modern financial center is one of the most important in Latin America, and also has a privileged transport network that will allow you to enjoy the best of Santiago de Chile.